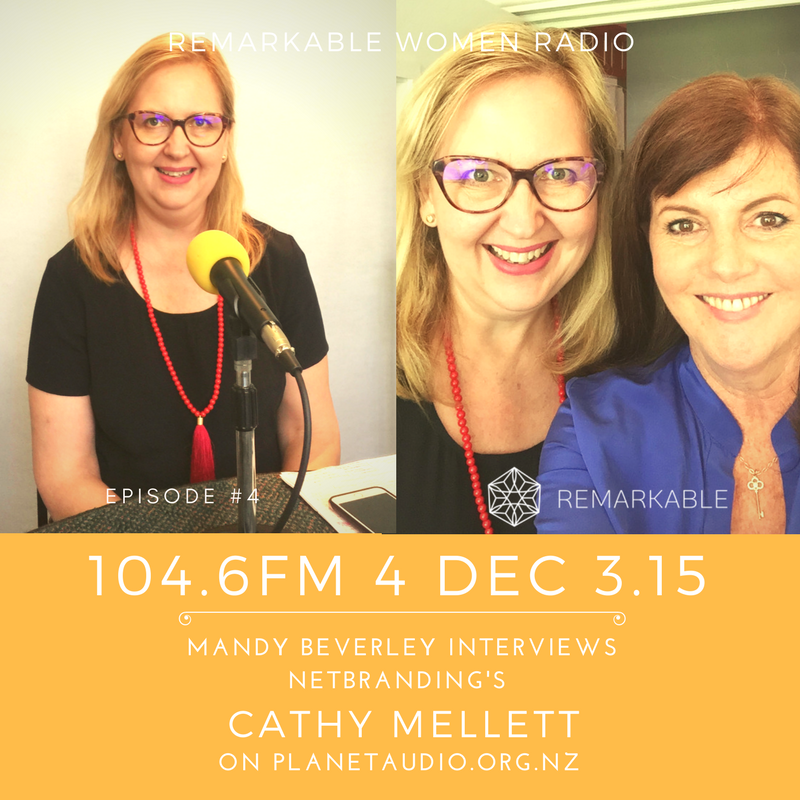 It was so great having Cathy Mellett from www.netbranding.co.nz talking with me on this episode of Remarkable Women Radio. Definitely want to have her in your corner when it comes to digital marketing and strategy. It was wonderful to see who is behind this brand and Cathy shared some great strategy with us how to be seen, be heard and be found online.